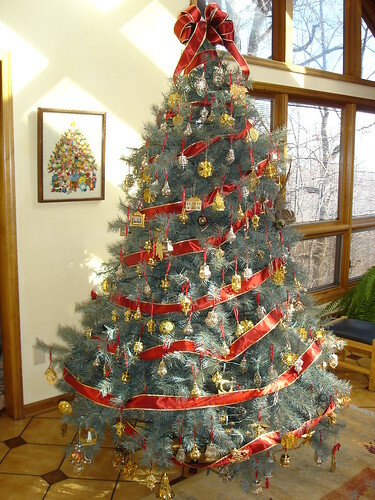 This was our gold & silver tree featuring Hallmark Expo ornaments from the early 1990's. The red & gold ribbon completes the look. Hanging on the wall is a stunning needlepoint Christmas tree from one of my brothers.